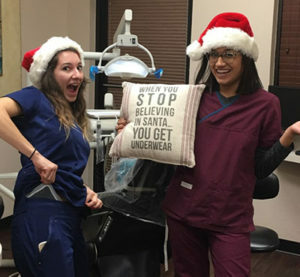 Our dental assistants believe in Santa. 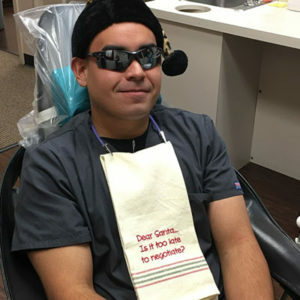 Want to be like our dental assistants? – or like one of those other people that get underwear for Christmas. Hey all….we have another class starting soon. If you know of anyone who is interested in becoming a dental assistant — please let them know about this amazing school. The new year could bring a new career. Let us help you make it happen! Texas Academy of Dental Assisting is an investment worth making. Texas Academy of Dental Assisting wants to acknowledge graduate student Alexandria Million. Alexandria used to work for Panera Bread and was simply looking for a change. Restaurant hours can be long and not too complimentary to having a normal family life. Alexandria locked in a position as an RDA-registered dental assistant for a general dentist office. Our team at TADA is delighted to share in her accomplishment! Congratulations! Take advantage of this opportunity and get a spot in our next Dental Assisting class while there is still room… Email or call us today! 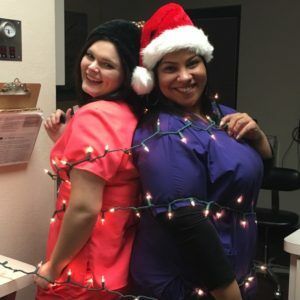 « Dental Assistant Career – Got What It Takes?